“Crise” is the second part of the trilogy “Euphorie, Crise, Recession”. Founded in 2008 by Pierre Schneider (born in 1977) and François Wunshel (born in 1978), both educated at the Strasbourg School of Architecture, 1024 is the fruit of the desire to make the constructed world and the virtual world communicate to offer an enhanced vision of architecture. A new architectural adventure, emblematic of an era in full digital revolution which united these two a priori identical profiles to create a completely new entity. 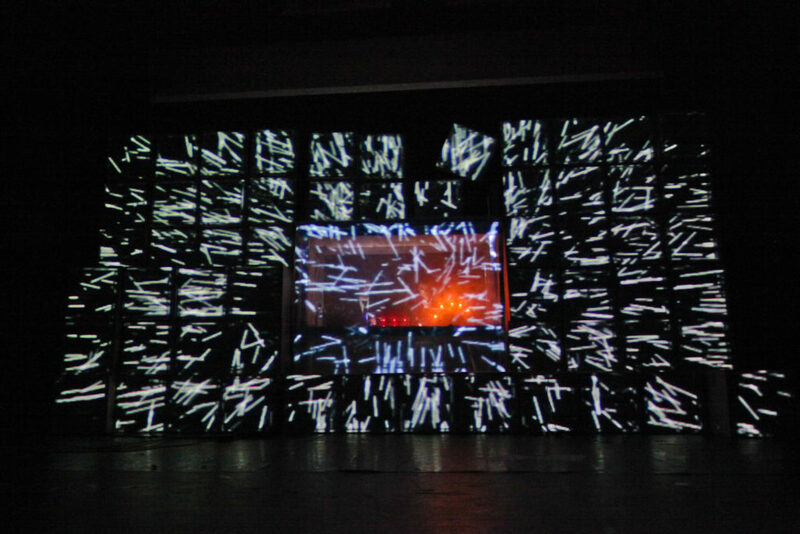 Architects producing video performances or designers building temporary buildings, the duo runs counter to the rules of a profession being perpetually redefined, going as far as producing and marketing their own software, MadMapper.